So there’s this band, Led Zeppelin, you may have heard of them…? 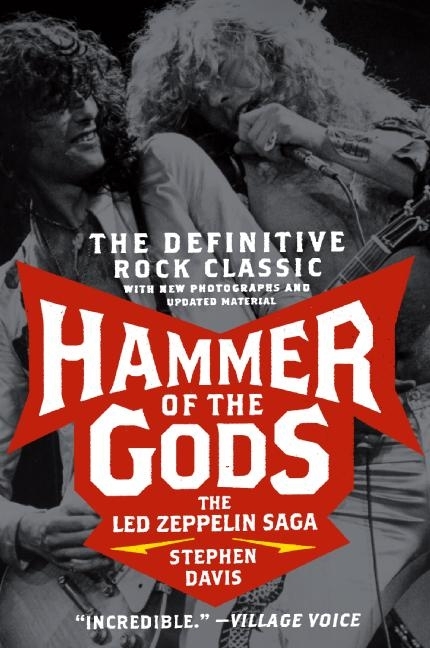 Hammer Of the Gods: the Led Zeppelin Saga covers Zeppelin’s entire history, from the origins of each of the four band members, through their formative experiences such as Jimmy Page’s stint in the Yardbirds and John Paul Jones’ time as a studio musician, to the formation of Zeppelin and the madness that ensued. Guys, this was one crazy band. Just about everything about them was larger than life, y’know? The partying: excessive. The groupies: aplenty (including some veeeery young ones…ahem, Jimmy Page, I am looking in your direction). The music: bombastic. The drugs: fatal (R.I.P. sweet Bonzo). The final chapter of the book provides a round-up of what happened after the band broke up, although the last time it was updated (my copy, at least) was 1995. The influence of Led Zeppelin can’t be overstated. Whether you’re a fan or not, chances are you’ve heard “Stairway to Heaven” about eleven billion times. The four members of this band were great musicians, top of their class. There were no weak links, insofar as each of the them brought to the table a unique talent that was exactly perfect for the sound they were creating. Stephen Davis does an excellent job describing the musicality of each of the players, and also delivers an insightful look at the personalities and the interpersonal relationships within the band. Jimmy Page was hugely talented but could at times be selfish and cruel (especially to women) and his descent into heroin addiction obviously caused big problems for Zeppelin. Robert Plant is described as being vain and foppish, though clearly an excellent front man. John Paul Jones comes off as the most mysterious of the lot, keeping to the sidelines and avoiding the spotlight. And John Bonham, a.k.a. “Bonzo”…well, he was a jovial, rambunctious character, but wasn’t above punching a female journalist in the face (true story). I guess the point is that as talented as these guys were, each of them had a dark side — and Davis, despite his obvious admiration and affection for his subjects, isn’t afraid to lay it all out. Well, a plethora of groupies certainly did. These guys got so much action on the road that they had their tour manager make up fake tour schedules to distribute to their wives so that they could sneak off under the radar and cavort with their favorite girlfriends. As for me, I say nay to Plant (too preening) and Bonzo (too violent when drunk) but I totally would have made out with John Paul Jones. He was hot! And I’ve always said that the bass is a very underrated instrument. You gotta respect a man who can rock a pair of dragon-print velvet trousers like that. Okay, so…to refresh my memory (it’s been a few years since I last read it), I looked up “groupies” at the back of the book, and here’s what’s listed in the index. Yeah. That’s some crazy shizz. So, there you have it. Zeppelin’s run-ins with groupies were so legendary that some of the stories have even been given formal titles (e.g. “Shark Episode”). Zeppelin was also plagued throughout their career by lurid tales of Satan worshipping — legend had it that the band had sold their souls to the devil in exchange for fame and fortune. 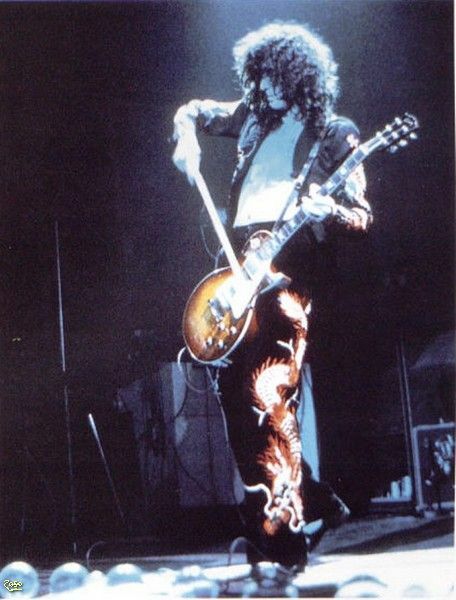 The fact that Jimmy Page openly admired and studied the works of the shamanistic master of the occult Aleister Crowley did nothing to dispel the rumors. Is it Shakespeare? No. But Davis’ writing is fast-paced and absorbing. This is a straightforward chronological biography, with plenty of titillating anecdotes thrown in. Davis is no stranger to rock star bios – his other works include books about Guns ‘n Roses, the Rolling Stones, Aerosmith, and Bob Marley. I’ve read three of his books so far, and all have been highly entertaining. Davis has a real talent for delving deep into his subjects and presenting the facts in an engaging manner. I also love that he goes through each album track by track. It totally inspired me to break out my Zeppelin records and listen along while reading his detailed deconstructions of the songs. You guys, this book is SO GOOD. It is one of my all-time favorite music bios, and over the years I’ve probably read it about ten times. I’ve actually worn through two copies (the first one fell apart and the second was lent out and never returned, bah). I even went so far as to special-order this when I couldn’t find it in bookstores back in the late ‘90s, but thankfully it has been reissued because someone at the publishing house had the good sense to realize how awesome it is. Extras: the book includes a middle section of photos. These are black-and-white and not amazing quality, but they are culled from the various stages of Zeppelin’s career and include some iconic images. I found myself flipping back to them often as I was reading the book. 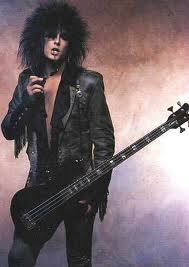 This book gets a NIKKI SIXX rating – i.e. top marks! Go read it now!! This entry was posted on Sunday, February 6th, 2011 at 4:58 am	and tagged with debauchery, groupies, guitar gods, rock star style, scandalous lives and posted in Book Reviews. You can follow any responses to this entry through the RSS 2.0 feed. Absolutely love it! Hendrix, in a whole new light.